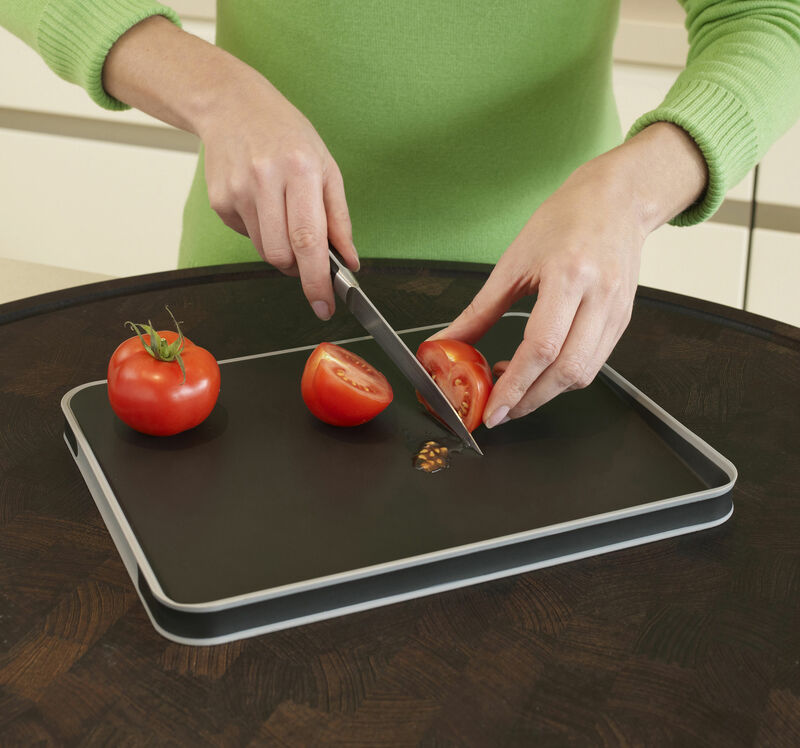 Cut&Carve™ Plus is an enhanced version of our popular double-sided, multi-function chopping board, which now boasts nonslip feet and soft-grip sides. 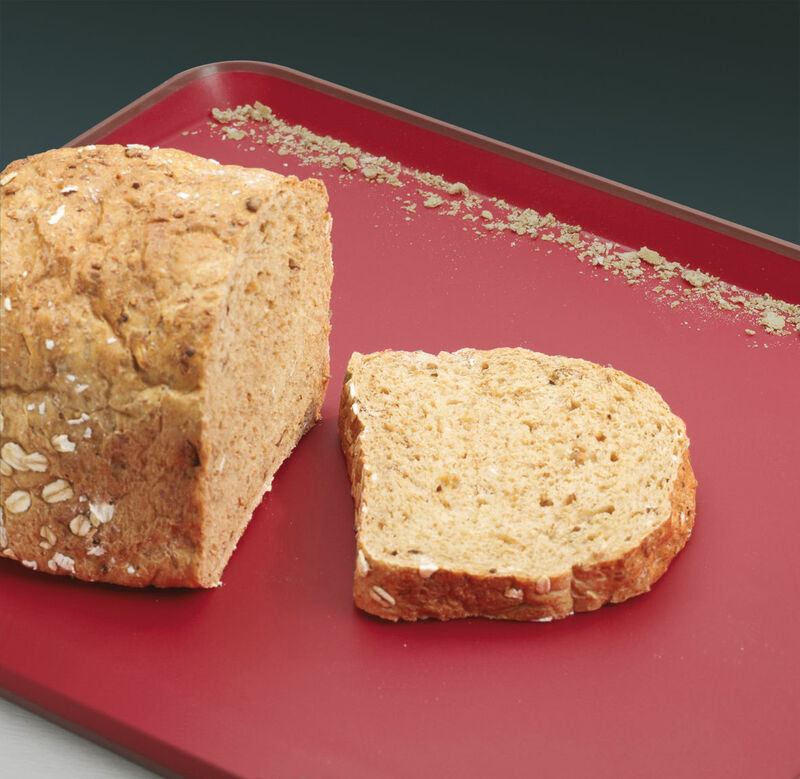 Its angled cutting surface is designed to assist in the collection and drainage of liquids or food and it has a new improved meat grip, integrated on one side of the board to assist when carving. 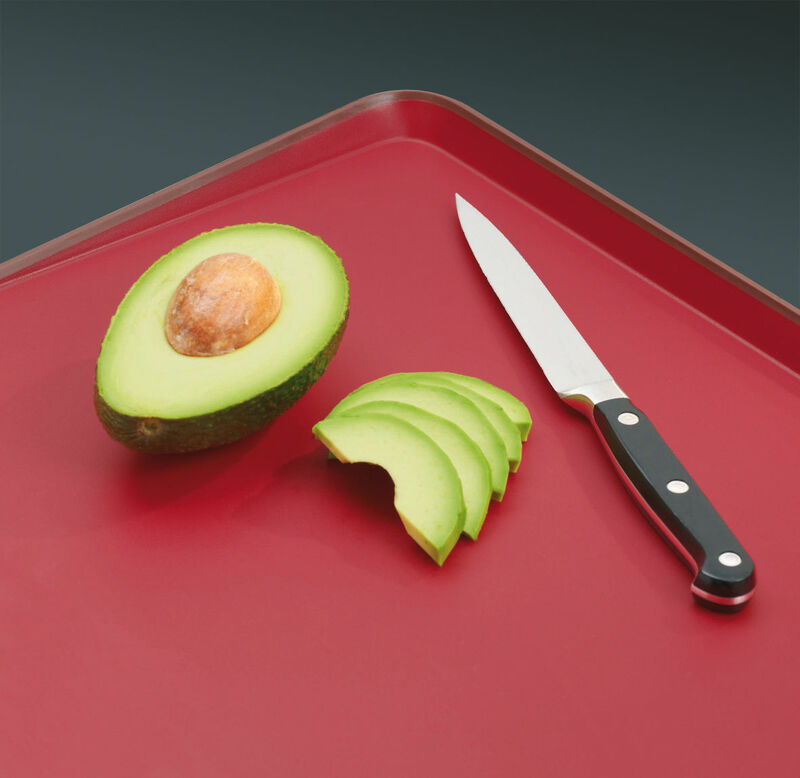 The opposite side of the board provides a smooth cutting surface, for general food preparation. 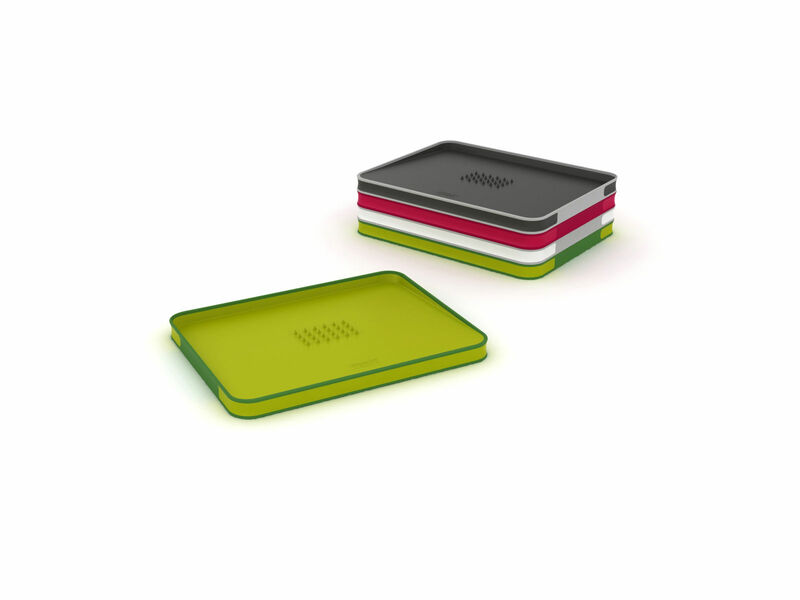 Available in two sizes and a range of colours.